Typically, I would not review a TV show on here, but since I have said this you must already know how great Hit Record: On TV must be. Should I even go on? Of course, I will go on! 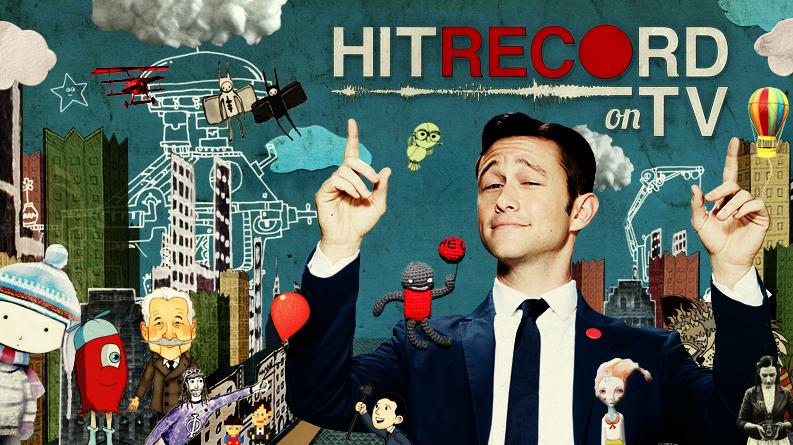 So hard not to explain my love for this wonderful show that Joseph Gordon Levitt plays such a pivotal part in. I do not know how much of this show was Levitt’s idea, but whoever created the concept for how it is put together is ingenious. Basically, Hit Record: On TV is a skit show made entirely through collaboration with Levitt’s Hit Record community online. My love for this show is undying. I finished the season almost in one day (8 episodes, 20 minutes each). Would have finished it in one day but I wanted to stretch it since each episode was so good. I will admit I am a very emotional person, so I cried at least once per episode. The content is not entirely sappy but this show does get very real and discusses topics in a very beautiful way. Refreshing does not suffice as an explanation of its character/ personality. Extraordinary does not cut it either. It feels like a show that you have always wanted to watch, but always felt was there at the same time. In a way, the show feels like a friend that you missed for a long time and you see them again. The first episode coincidentally: deals with the number one (1). All of the episodes have their own theme which is very fitting. Talking about the number one in the first episode is a very great introduction to the rest of the season. Most of the episodes start and end with about the same format. The last episode is a very great ending to the overall season as well. One example of when I cried: the episode RE: Space. The opener to this episode is so heart-touching and warm. I will not give away anything else related to the rest of said episode to not ruin it. I did not know before googling that this show was shown on Pivot TV, which is a great network. But I saw this show entirely on Netflix. Please give this show a chance, we do not get good quality content like this every day. Hit Record: On TV is truly a piece of art and I would not waste time writing this if I did not truly believe it. Update 9.9.2017 Apparently this is no longer on Netflix, but watch on TV if you ever get the chance!